I've done this for nail polishes before, but I thought I would show off the lip products that have had my attention this spring and will continue into the summer. 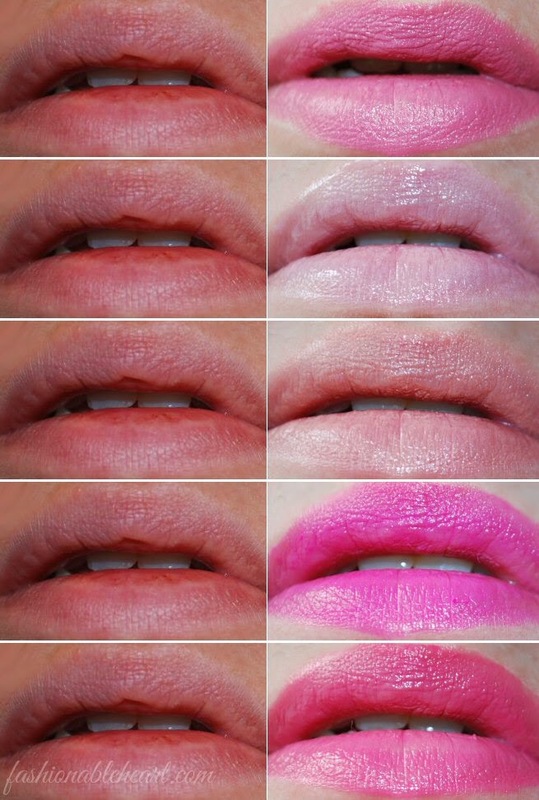 I love bright and pastel lips throughout most of the year, but these have a special place on my vanity during the warmer months. These can all be found in your local drugstore (aside from Lilac Pastelle), so each are easily accessible and affordable. Always a good thing! 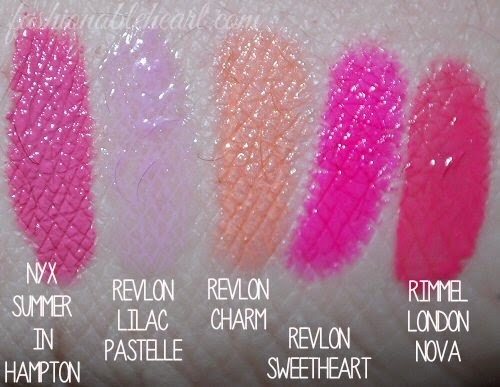 NYX Summer in Hampton, Revlon Charm, Revlon Sweetheart, Revlon Lilac Pastelle, and Rimmel London Nova. What color(s) do you gravitate to during warmer months? I definitely reach more for corals and bright pinks in summer months! Nice picks. I love the Revlon version of the Clinique "Chubby Sticks." Lately, I've been wearing bright pink and coral on my lips...but, not together. It's so pretty! I can't get over the pigmentation. I want so many more of them. Might become an addiction! Out of the NYX lipsticks that I have tried, they are my favorite line of them. And what a bargain! Try as I might, I love coral lips but always feel a bit ridiculous wearing them. I'm not sure that they suit me too well, but it doesn't stop me from trying. Haha! 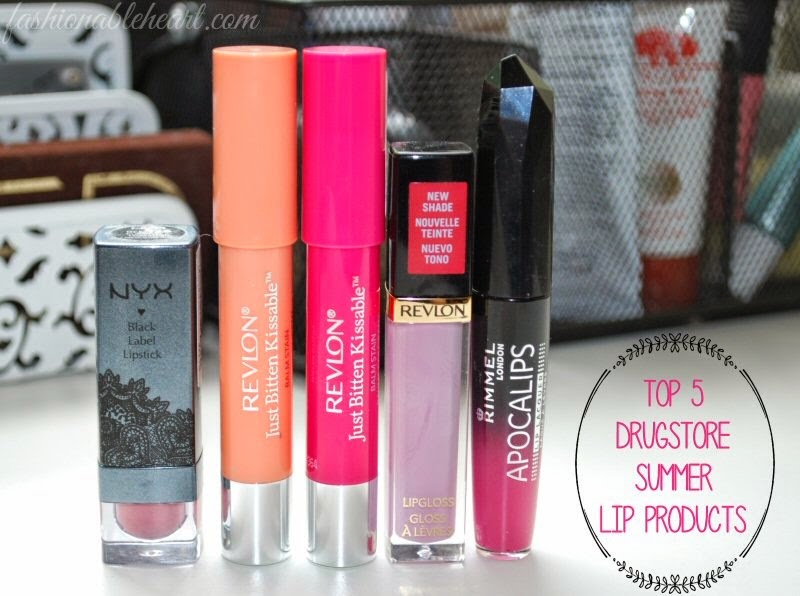 I love me some Revlon lippies! The uust Bitten Kissable in Sweetheart looks so pretty on you. love the hot pink colors for this summer!